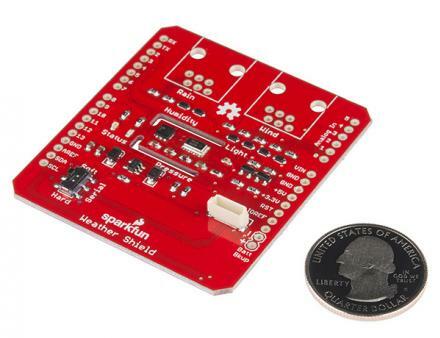 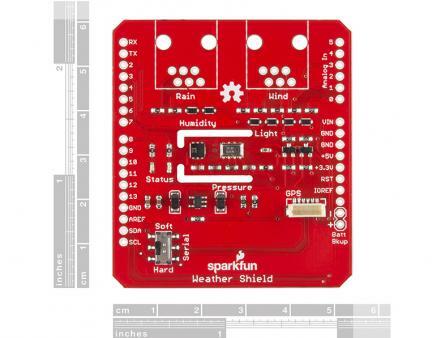 These Weather Shields utilize the HTU21D humidity, MPL3115A2 barometric pressure, and ALS-PT19 light sensors and relies on the HTU21D and MPL3115A2 Arduino libraries. 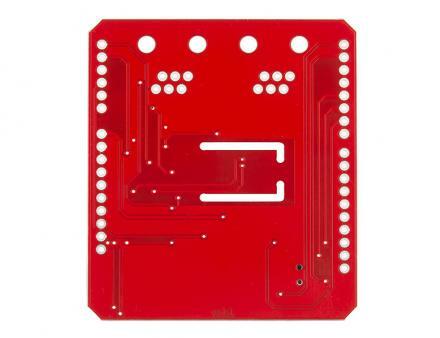 Each shield comes with two unpopulated RJ11 connector spaces (for optional hook up of rain and wind sensors) and a 6-pin GPS connector (for optional hook up of a GP635T GPS module). 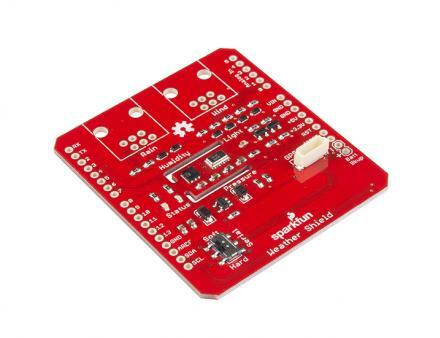 Finally, each Weather Shield can operate from 3-6V and has built in voltage regulators and signal translators.